Louis Lowy (1920–1991), an international social worker and gerontologist, rarely spoke publicly about the Holocaust. During the last months of his life, however, he recorded an oral narrative that explores his activities during the Holocaust as the formative experiences of his career. 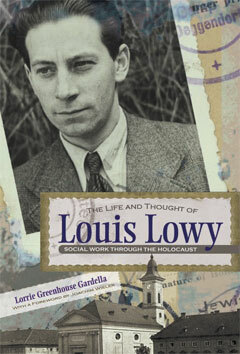 Whether caring for youth in concentration camps, leading an escape from a death march, or forming the self-government of a Jewish displaced persons center, Lowy was guided by principles that would later inform his professional identity as a social worker, including the values of human worth and self-determination, the interdependence of generations, and the need for social participation and lifelong learning. Drawing on Lowy’s oral narrative and accounts from three other Holocaust survivors who witnessed his work in the Terezín ghetto and the Deggendorf Displaced Persons Center, Gardella offers a portrait of Lowy’s personal and professional legacy. In chronicling his life, Gardella also uncovers a larger story about Jewish history and the meaning of the Holocaust in the development of the social work profession.